Sarah Morgan writes such beautiful tales of romance, this one though is slightly different as it focuses on a family rather just one couple and their romance. It’s about a mum and her three adopted daughters. It is still no less heartwarming and the Christmas vibes of the book and the hope and love themes of the book make it a worthwhile read. The book is set in mainly in Scotland, with point of views from all three of the sisters and the mum. The Christmas sisters is about three sisters who are very different from each other, their parents deaths had affected them all differently, now at different stages of their life. They meet again for Christmas at home. Suzanne MacBride adopted her best friends three daughters after her death; Hannah who is the oldest and a commitment phobe but her current situation has her returning home in panic. Bethany a mum of two daughter who seemly has a perfect life craves more than just being a mum and a fight with her husband about her working causes her to return home for Christmas albeit earlier than planned. Posey, the youngest on the other hand has never left home, she aches to travel but feels like she can’t abandon her adopted parents. 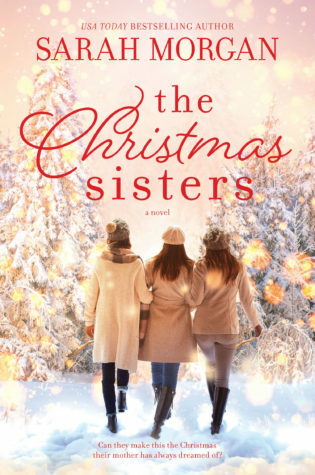 All three of them are struggling but in different ways, the sisters had drifted a part from each other so this Christmas together brings a chance for them to be close again, after they let go of the hurts and learn some secrets of the past. I really liked all the characters, Suzanne was special though with the sacrifices she made for best friends children. All the characters were likeable and the sisters were easy to connect and sympathise with. My only issue was I kinda wished they’re had been three separate books so I could have gotten more of them, to get more depth about the characters but thats just me being greedy. Its a sweet and emotional book about three women finding their way and about family, bond of sisters, love and happiness. I already love Sarah Mogran’s writing so this was no exception, she created a wonderful dynamic between the sisters and their mother. I also loved how the character each stood out because in ensemble books, the characters start to blend in a bit and how over the course of the book we get to see them their HEAs. Overall, a lovely great read for anyone looking for a heartwarming or a Christmas themed book! 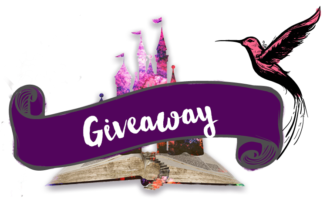 Described as ‘a magician with words’ by RT Book Reviews, she has been nominated four years in succession for the prestigious RITA© Award from the Romance Writers of America and won the award twice; in 2012 for her book ‘Doukakis’s Apprentice’ and 2013 for ‘A Night of No Return’. She also won the RT Reviewers’ Choice Award in 2012 and has made numerous appearances in their ‘Top Pick’ slot.